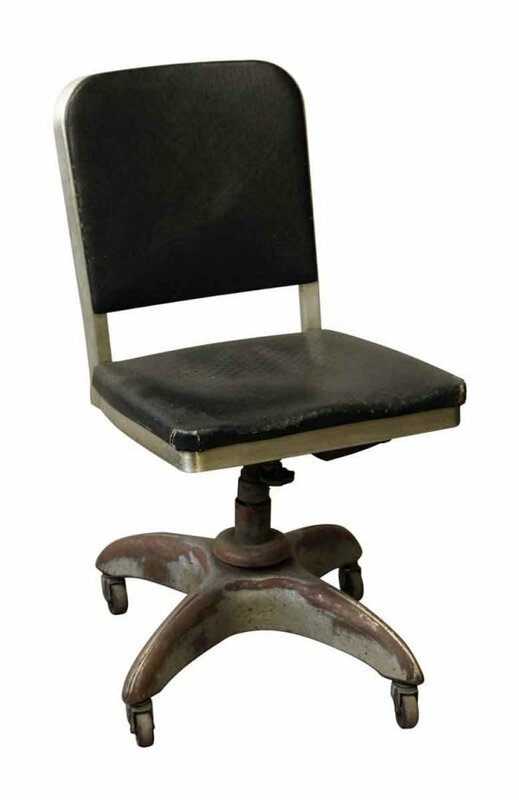 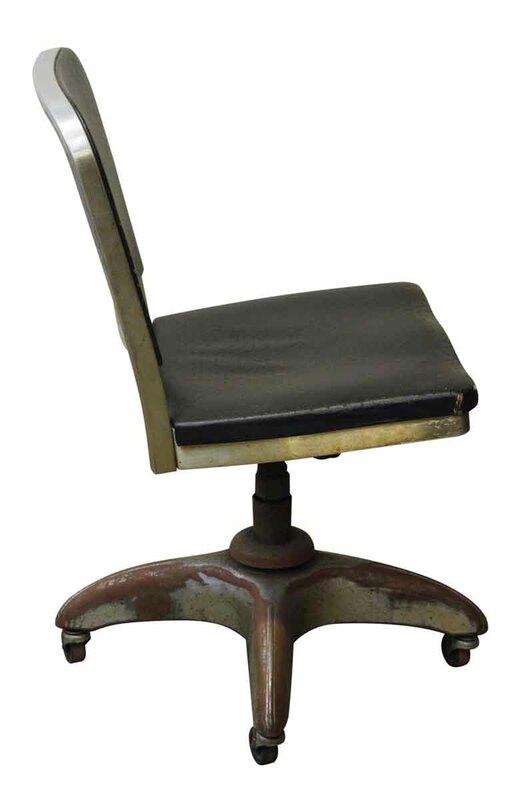 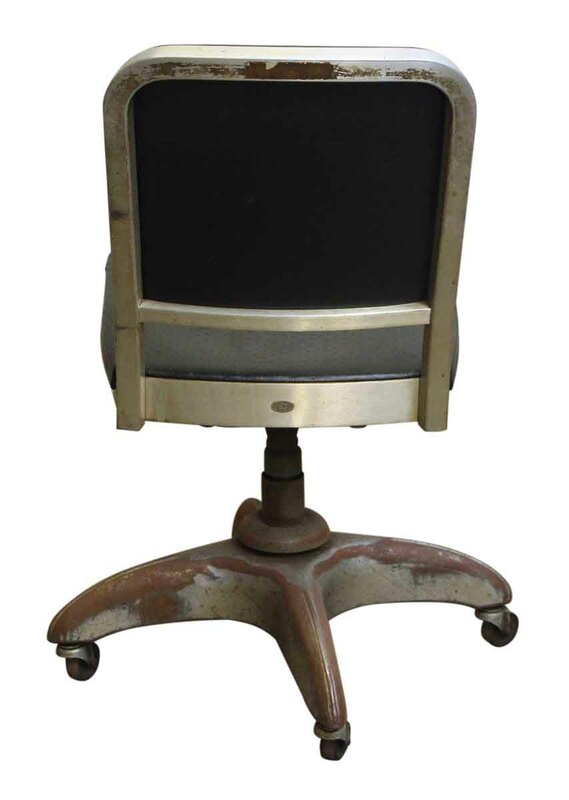 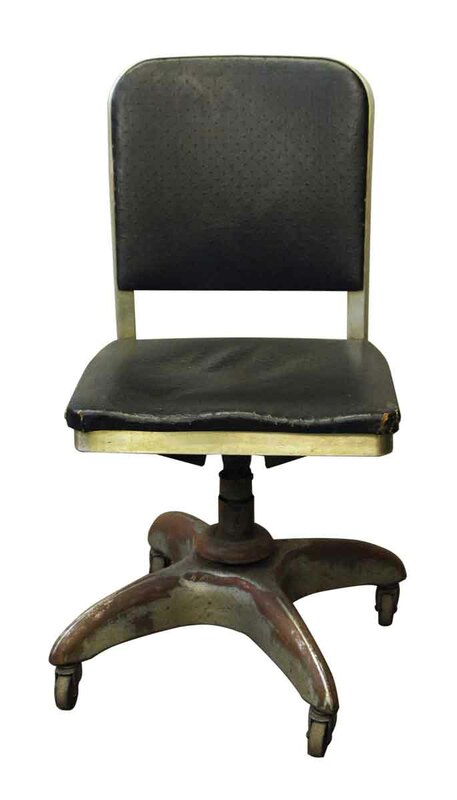 Steel rolling office chair with comfort at its best. 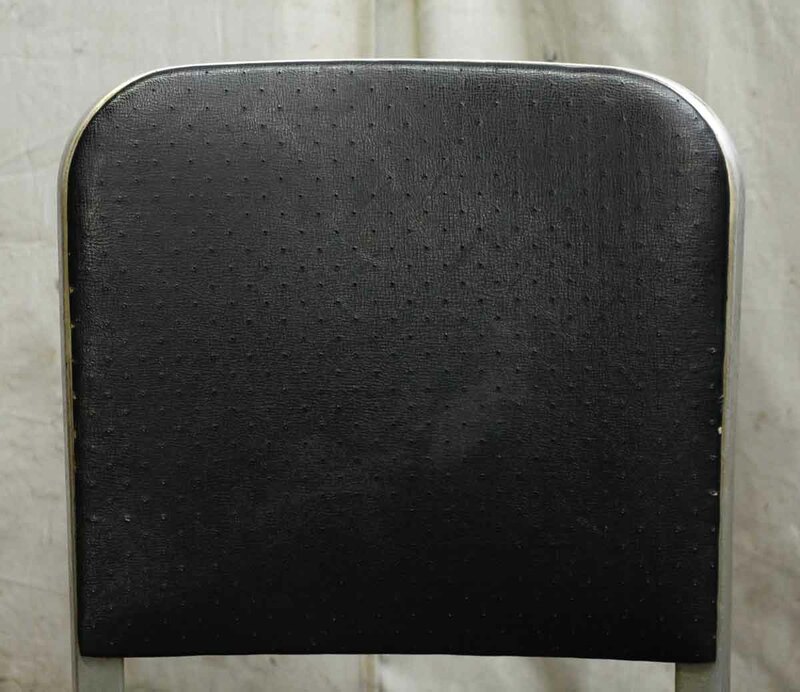 The black upholstery is intact with reasonable wear at the corners and the wheels glide. 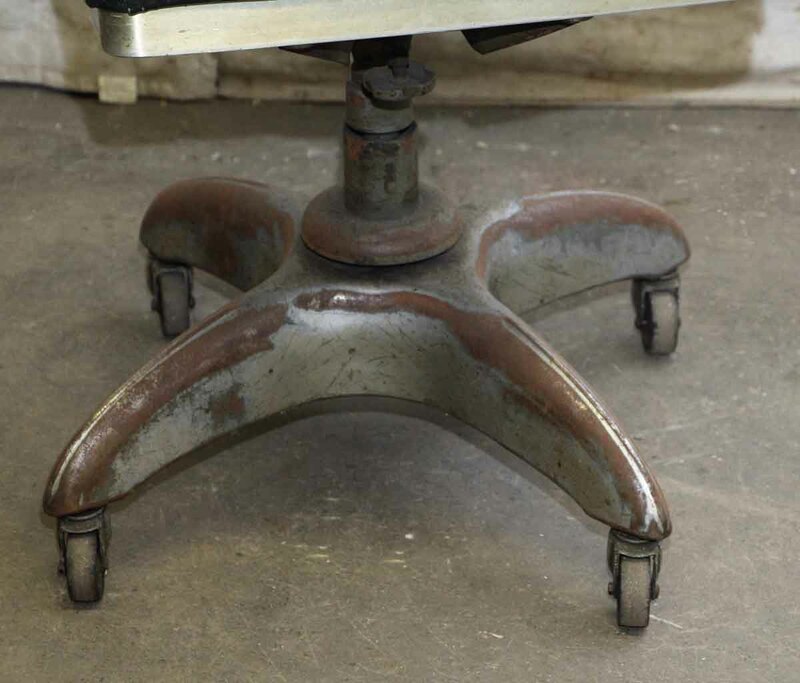 The rust showing through on the base can be buffed out, or left on for additional character. 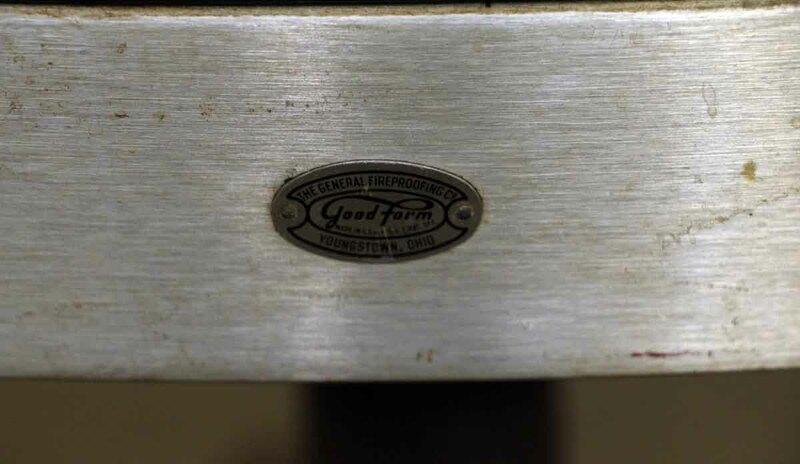 Made by The General Fireproofing Co.